La sombra y la realidad en el libro de Hebreos, es decir, el contraste entre el Antiguo Pacto y el Nuevo Pacto. 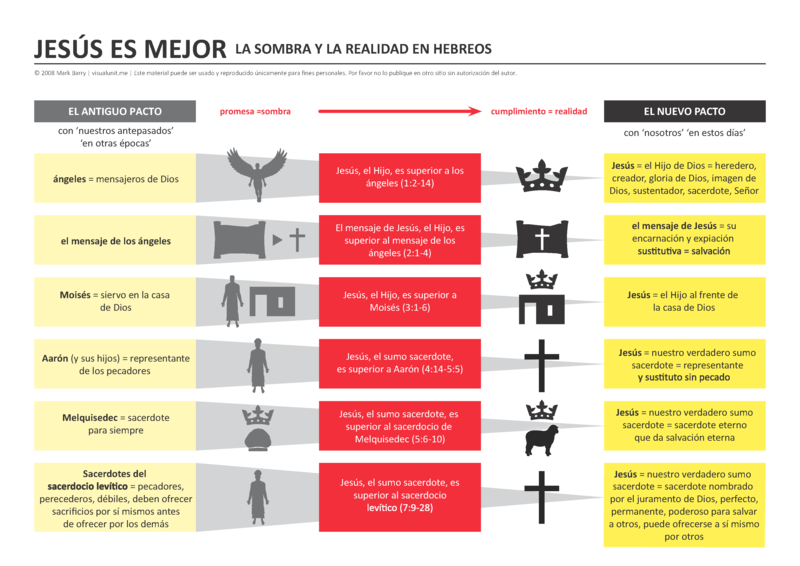 Spanish version of the shadow and the reality in the book of Hebrews. PDF version (1.8 MB). This entry was posted in Spanish and tagged Biblical Theology, Hebrews, New Testament, overview. Bookmark the permalink. How can I do to help to translate to PORTUGUESE? Hi Hailton. I’m so sorry for my slow reply. 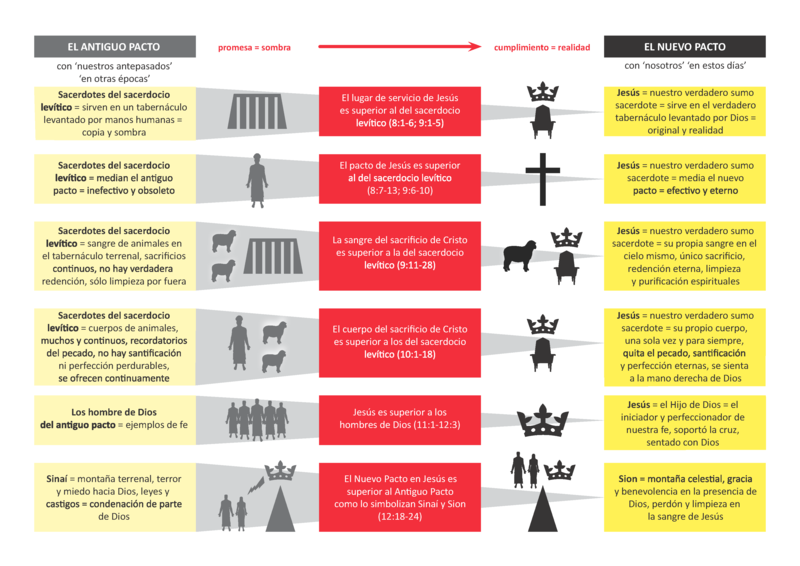 We’re currently working on Chinese, Spanish and Indonesian translations of these graphics. So it might be a while until we are able to start on Portuguese versions as well.